Austin school district police say that a Blazier Elementary School teacher sexually assaulted a 7-year-old girl in his first-grade class in 2011. 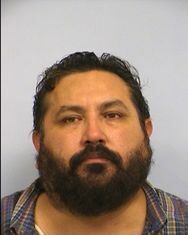 John Joseph Vasquez was arrested Monday on a charge of aggravated sexual assault of a child. Police Chief Eric Mendez said Tuesday that Vasquez, 43, was also charged with an improper relationship between an educator and a student. Officials said Vasquez, who was named Blazier’s 2010 teacher of the year, was placed on paid administrative leave. Jail records show he was no longer in custody Tuesday night. His bail had been set at $100,000. Vasquez could not be reached by phone. According to an arrest affidavit, he denied that he sexually abused the girl. Though the girl is no longer enrolled in the Austin school district, her father told district police on April 1 that she had recently refused to enroll in an extracurricular activity at Blazier because she said Vasquez had touched and kissed her when she was a student there, the affidavit says. The girl later told a forensic interviewer that every day during class between January and March 2011, Vasquez would ask her to retrieve papers from the printer in a shielded area of the classroom, the affidavit says. The girl said Vasquez would then come over and put his hands down her pants, according to the affidavit. Asked what Vasquez looked like when he was doing this, the girl said she saw him “biting his lip,” the affidavit says. The girl said Vasquez would call her his favorite first-grader and give her extra putty to play with in class, the affidavit says. He also gave her a pillow with the words “I love you,” on it, the affidavit says the girl said. Vasquez told police that he would often send students on errands such as fetching paper from the printer, but he didn’t confirm that he had given the girl a gift, the affidavit says. He also told police that he said something to the effect of “you’re my favorite student” but that he often tells students that to encourage them, the affidavit says. Mendez said the allegations against Vasquez are under investigation but said he has no reason to believe there are other victims. Spokesman Antonio Lujan said the district doesn’t plan to make any specific changes as a result of the allegations, though an effort is under way to increase security cameras at schools. The district already does an “extensive background check” when hiring employees, and they undergo fingerprinting, Lujan said. They’re also entered into a criminal history database that is constantly monitored and updated, he said. If an employee is arrested for any reason, anywhere in the country, the system is automatically flagged within 48 hours, Lujan said. Employees who are hired don’t seem like they would commit an assault like the one Vasquez is accused of, he said. A letter from Blazier Principal Leti Peña to the “Blazier Elementary School community” on Monday said that district police told school administrators about the sexual assault allegations that day. In the letter, Peña says there’s no information that current students have been or are in any danger. Vasquez, who taught fifth grade at Blazier, has been at the Southeast Austin school since 2008, Mendez said. In a 2010 district newsletter that included a questionnaire with Vasquez, the teacher said he had been with the school district for eight years.